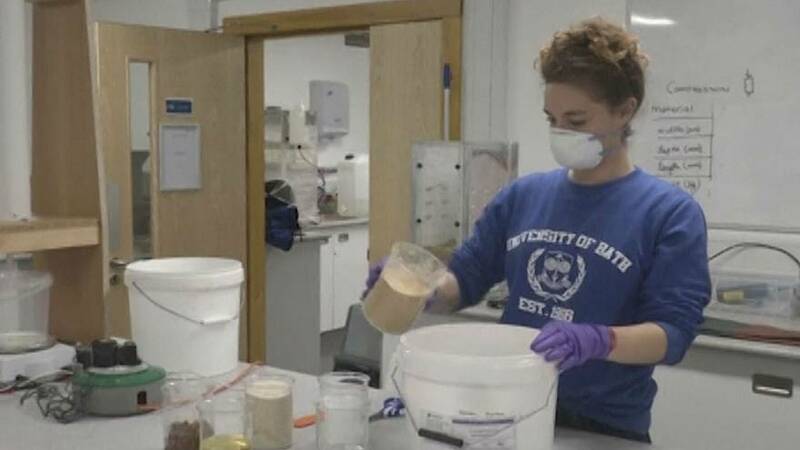 Researchers at the University of Bath are testing fake faecal sludge to see if it can help those in developing countries safely dispose of raw sewage. Lead researcher Naomi Deering said that solar-drying actual poo in full-scale drying beds can provide low-energy solutions for sustainable management in developing countries. Deering developed the sludge using a recipe originally created by NASA to test in-space toilet technology and has modified it ever since. The fake material closely replicates the chemical and physical properties of faecal sludge. Deering and her colleagues are testing this fake poo to understand the drying process of its real-life equivalent, using a small-scale drying bed. The idea is that by drying it out, the sludge loses water and the parasites that cause diseases are killed. Around 2.3 billion people have no access to a flushing toilet and use pit latrines or other rudimentary measures to dispose of their waste, making the natural sludge a real health hazard.